BEUTH UNIVERSITY OF APPLIED SCIENCES is one of oldest Berlin’s universities of applied sciences with the largest offering in engineering studies in Berlin area. Beuth University is a modern, multicultural university with more than 12,000 students from 70 different countries studying in 72 technical, natural sciences and economics bachelor and master degree programs. Beuth University is recognised both nationally and internationally for its multi-disciplinary approach to research and teaching. It has a successful track record of working closely with industry, research institutes, private and public organisations across Europe. In the recent years, Beuth University has experienced a steady growth of third-party funding and international research and development projects. A continuous knowledge transfer at Beuth University takes place through approx. 3,000 bachelor and master theses, which mainly include R&D conducted in enterprises, public and non-for-profit organisations as well as through laboratories (labs), where applied research is performed in close collaboration with industry partners, turning research ideas into marketable products and services. These and other application-oriented research activities bring positive synergies to all stakeholders. Beuth University offers both on-campus and on-line courses making use of the latest technologies. As a member of the Association of Virtual Universities of Applied Sciences in Germany, Beuth University is dedicated to effective practice and research in technology-enhanced learning. CamProf was established by Nigel Lloyd in 1994 (originally in the UK) and has become a leading, innovative consultancy, particularly concerning professional and vocational competency issues, operating in the UK, Canada, Europe and internationally. CamProf has a core team of professional staff and an international network of associates whom it has worked with over a long period. CamProf likes to build a lasting relationship of mutual trust and respect with clients. Clients include private companies, trades unions, professional and regulatory bodies, sector councils, universities, government departments and international agencies. CamProf has carried out multitude of European projects and over 20 Canadian projects. DigitalMe is a non-profit based in Leeds, UK. Our mission is to re-imagine learning for the 21st Century & equip people with the skills and competencies they need to thrive in work and life. Using Mozilla Open Badges, we are working together with educators, charities and employers to create a digital currency that recognises everyone’s skills and talents, opening up new opportunities for education, enterprise and employment. DigitalMe have been pioneering the use of open badges since 2011, supported by Mozilla. Through the ‘Badge the UK’ initiative, they have enabled over 120 partners to create and issue over 20,000 badges by providing resources, badge design tools, technology and training. We are especially committed to ensuring access to opportunity for the hardest to reach groups through our grant funded work. 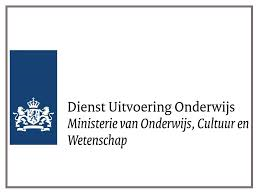 DUO is part of the Dutch Ministry of Education, Culture and Science. EDEN is the most comprehensive European association in the field of open, flexible, distance and e-learning. Its official membership consists of 178 institutional members and 1101 individuals representing 414 institutions from 52 countries in Europe and beyond, while the Association reaches far more people and institutions from all levels and sectors of education via its activities and services. The main goal of EDEN is to support its members and partners in their endeavours to modernise education in Europe. The Association aims to facilitate knowledge and practice exchange and, by this, foster developments in open, distance and e-learning in all sectors and on all levels of education. EDEN provides a constant moderated online platform and organises recurrent f2f events for professional collaborations and networking and strives to inform its membership about relevant educational research, pedagogical, technological and policy advancements via its communications and publications. Applied Research into Training and Education Systems (ARTES) is an Italian no-profit research Institute recognised by the Ministry of Research and National Education_MIUR (code number 60884CS). In more than two decades, it has conceived and realised pioneering international programmes, built innovative networks and trustful relationships with prominent institutions and individuals which count on both a solid scientific background and a proven capacity to transfer advanced knowledge into straightforward, cost-effective and creative solutions. After a long pioneering activity, with more than 50 international projects conceived and implemented by participating to international call for proposals and tenders, now days ARTES represents a repository of unique knowledge characterized by a multidisciplinary and original strong international perspective, crystallised in data bases, IP registrations, trademarks and patents and a vast area of international relationships in Europe, Asia, North America, North Africa and Sub-Saharan Africa. With its multidisciplinary approach, ARTES steps in wherever the issue is the integration of learning and the development of human resources potential in relation to processes of innovation. Each of the founder members and each of our collaborators has a well-developed background in the fields of human resources development, training and research, with wide-ranging involvement at international level. 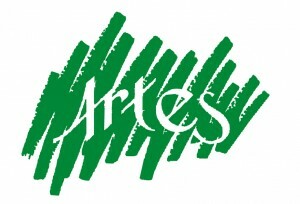 From 1991, ARTES hosts students, young graduated and researchers coming from a wide range of European Universities, with whom ARTES have established a long lasting solid co-operation. The Institute for Sustainable Technologies – National Research Institute for nearly 30 years already has been specialising in building up innovation performance in the areas of machine construction and maintenance, and technical and environmental safety. Additional areas of the Institute’s activity include model solutions in the field of technology transfer and continuing vocational education, which are the foundation of the EU strategy – “Europe 2020.” The focus on the EU and Poland’s priority research areas enabled the Institute to undertake novel, cost-effective and socially required basic and applied research. An important field of the Institute’s activity is systems research concerning knowledge transformation and technology transfer mechanisms and structures, intellectual capital development, innovation management and marketing and forecasting of future research directions. The fact that the Institute has coordinated numerous strategically important research programmes, e.g. the “Innovative Systems of Technical Support for Sustainable Development of Economy,” only adds to its importance and serves to prove that this is a highly acclaimed Polish public research organisation. 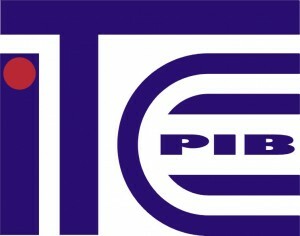 The Work Pedagogy of Innovative Economy Centre is a separate unit in the structure of ITeE-PIB, which executes work on theoretical and methodological bases of building the multi-level system of continuing education. The Centre acts in the field of adult education, deals with designing professional qualification standards, National and European Qualifications Framework, innovative modular curricula for education and training. The Centre builds up European cooperation networks (Polish and European Network for Modular Education) and is a member of the European Associations: EAEA, IGIP, EVBB. The DEASS is the Department of economics, health and social care of University of applied sciences of Southern Switzerland – SUPSI. It offers basic learning in nursing sciences, physiotherapy and ergotherapy, social work, economics and postgraduate courses and applied research. The DEASS develops as well projects within its research unit. Projects are based on partnerships with other SUPSI institutes, such as the Department of Innovative Technology and NetLab, as well as with health services providers and industry.